A crocheted plush Martian Manhunter, made by an acquaintance of Mikeyb79 on DeviantArt. So adorable!!! I love his face. 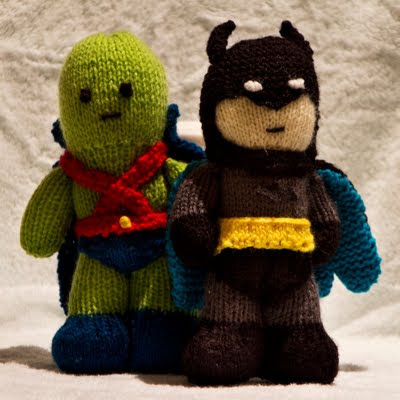 You can find pictures of other crocheted Justice Leaguers on Mikeyb79's profle on DeviantArt. Wonder Woman: not a class act? Booster Gold on Smallville: A Review!